Welcome to the AFP South Dakota Chapter job posting center! This service is designed to share pertinent career information with our audience of development professionals in the South Dakota area. We feature all career position announcements for one month on our AFP South Dakota website. Anyone who visits this site will see your position announcement on our Chapter Job Center. In addition, your position will be sent out in our AFP update email with a link to the job center. 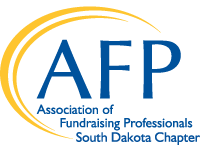 This monthly update email reaches more than 360 fundraising and non-profit professionals in South Dakota who have self-identified as wanting to stay connected to our chapter and receive updates. Please email your job positing to SouthDakotaAFP@live.com. Your information will be reviewed, edited if needed, approved and posted by our Chapter Administrator. Your organization will be invoiced via PayPal within 3-5 business days. Contact Chapter Administrator Angie Kuiper, at SouthDakotaAFP@live.com if you have any questions. Position Summary: Red Cloud Indian School is seeking to fill the position of Chief Advancement Officer at a time of unprecedented growth in the organization’s advancement efforts. Currently, we are quietly moving through a multi-year campaign to provide programmatic and capital improvements and endowment security for Red Cloud Indian School so that the impact that is being provided today will be available for future generations. This person’s initial responsibility is to help lead the organization to the conclusion of what has to date been a very successful campaign. This initial responsibility should last twenty-four to thirty-six months. Central to the role will be to continue educating prospects about Red Cloud Indian School, engaging them, stating the case, and soliciting their partnership through an active schedule of visits and events. Nationwide travel is required with donors heavily concentrated in Boston, New York, DC, Milwaukee, Chicago, Omaha, Los Angeles, San Francisco, and other locations. This person will manage small team to support individual giving. The ideal candidate for this position has a proven track record in strategic fundraising, understands the needs and interests of major donors, and is a sophisticated, passionate communicator, committed to going out and getting gifts at the $25,000 - $ 1 million plus level. To date the school has raised $14million. No final goal has been set. • Set and monitor annual revenue targets for campaign gifts, developing regular updates on institutional donor revenue for leadership and Board of Directors. This position will report directly to and work most closely with the President. He/she will also work with members of the board, and other advancement staff. It could lead to longer term opportunities within the organization. Post campaign, the Chief Advancement Officer position could then be responsible for continuing to solicit funding toward meeting the institution’s approximately $14 million in annual operating expenses. The Chief Advancement Officer would be instrumental in continuing to develop the infrastructure and mechanics to move forward from the current campaign initiative, as well as establishing a solid framework for the future stability of the organization’s major gift effort. • Work closely with Red Cloud’s leadership and each major gift officer to create and carry out strategies and departmental goals for solicitation and stewardship of an active portfolio of high net worth individuals. This will include a portfolio of 150+ major givers and their proactive cultivation, solicitation and stewardship activities, integrating support requests into long-term relationship strategies. • Help to assemble and manage a national team of major gifts staff to manage the Red Cloud’s major donor program, The Leadership Society. • At least five years of progressive experience in cultivating and soliciting individual prospects capable of five-, six-, and seven-figure gifts. Preference to those who have led campaigns previously, in positions of progressive responsibility. Demonstrated success in donor solicitation, gift closing and stewardship. o objectives, and resource needs persuasively to potential donors. The person hired could live on the Red Cloud campus, but this is not required. Position Summary: Red Cloud Indian School is seeking to fill the position of Annual Fund Officer at a time of unprecedented growth in the organization’s advancement efforts. Currently, we are quietly moving through a multi-year campaign to provide programmatic and capital improvements and endowment security for Red Cloud Indian School so that the impact that is being provided today will be available for future generations. In collaboration with other individual giving staff, the Annual Fund Officer will be responsible for continuing to solicit funding toward meeting the institution’s approximately $14 million in annual operating expenses. The Annual Fund Officer will be instrumental in continuing to develop a solid framework for the future stability of the organization’s major gift effort with individual donors who gift $250 - $1,000+ annually. The primary emphasis is on maintaining an active schedule of contacts per month, moving potential donors appropriately toward solicitation and closure, and maintaining stewardship contact with donors. This position will be to help migrate donors within this level and into the portfolio of the Leadership Gift Officer and Chief Advancement Office who manage gifts at a larger level. They will also strategically examine our extensive database of donors to determine best prospects to lift through these levels. Gift Officer, Chief Advancement Officer, and other advancement staff to align strategy and operations of their work. They will also interface with members of the Board of Trustees and other key constituents to build the network of support. The mission of the South Dakota Community Foundation is: “To bring philanthropy to life for a stronger South Dakota.” Are you someone who knows how to “do things right” and “do the right thing” to forward this mission? If so, the South Dakota Community Foundation might be a fit for you. The Foundation seeks a motivated person to expand its team of seasoned professionals who partner with donors to meet individual and collective philanthropic goals. This position also supports organizations who are seeking grant funds to meet the charitable needs of the people of South Dakota through well-defined compliance and outcomes practices. The selected candidate will be someone who can be intensely detail focused, assuring policies, procedures, and practices meet full compliance with local, state and federal law and regulation, as well as nonprofit best practice standards. The individual selected will also challenge those very systems, policies, and practices to find better and more efficient ways to deliver on the mission of the Foundation to meet the demand of a growing donor and grantee base. An individual trained in law, banking, corporate compliance, operations, fund development, project management, or other related academic pursuit who wants to make a difference, wants to grow professionally, find variety and deep meaning in their work, and who wants to work with a dynamic, growing, and mission-driven organization and team is encouraged to apply.